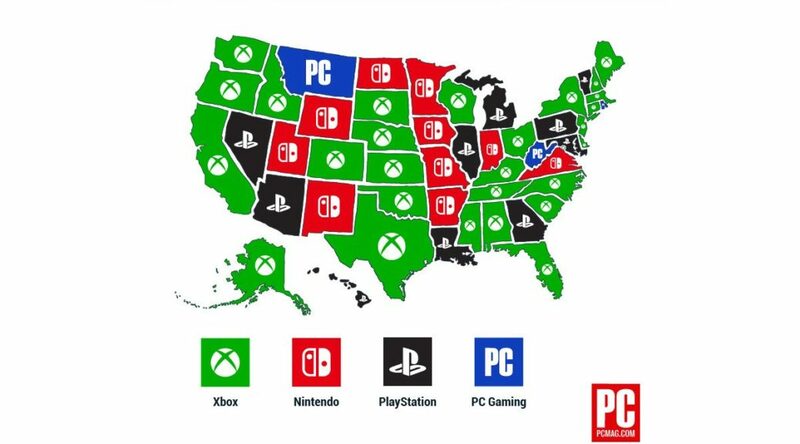 Recently, PCmag conducted a poll asking gamers across the US which platform they preferred: Xbox, Playstation, Switch or PC. Unfortunately for Nintendo fans, Xbox emerged victorious with 31% of the vote, taking the top spot as the most preferred console in 27 states. The second place was Playstation with 28% of the total vote and the top spot in 10 states. Our beloved Switch came in third with 21% of the vote, and a top spot also in 10 states. Finally, PC came in last with 20% of the vote and the top spot in only 3 states. Xbox’s victory should probably come as no real surprise, given that the US is Microsoft’s home turf. The Switch similarly enjoys a great deal of popularity in its home country, where the Xbox in contrast is more of a niche console. While it may have lost the title of being the most preferred console in the states, the Switch continues to do pretty well worldwide in terms of sales. We will continue to bring news of the Switch’s progress as it enters its third year on the market. What do you think of these findings? Let us know in the comments below.